Home / Exercise & fitness / Motivation Point / Olympic Triathlete Rachel Klamer Is All Set To Make History! Olympic Triathlete Rachel Klamer Is All Set To Make History! Netherlands’ Olympic Triathlete Rachel Klamer! Rachel Klamer, born on 8 October, 1990 in Harare, Zimbabwe, is a Dutch professional triathlete and member of the National team. She placed third at the Junior World Championships in 2009. 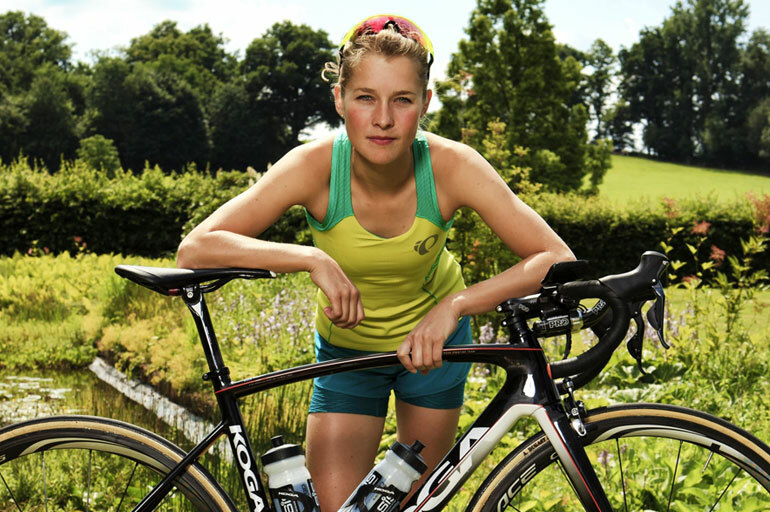 She began her career as a triathlete at a relatively late age. After being active as a swimmer and runner, at the age of seventeen she decided to have a look at the triathlon sport. In her first year as a triathlete, Klamer won both the Dutch Junior triathlon and duathlon Championships. She also became fourth in the European Junior Cup in Holten. In 2009, only one year after Klamer started doing triathlon, she won the silver medal at the European Championships in Holten followed by a bronze medal at the World Junior Championships in Australia’s Gold Coast. Klamer also won her first race at the elite level at the Premium European Cup in Alanya. Rachel Klamer is an Exceptionally Talented Rio Olympics Triathlete. She is in conversation with Namita Nayyar, President – Women Fitness. Ms. Namita Nayyar: At the age of 17 you decided to have a look at the triathlon sport and won the Dutch Junior triathlon and duathlon Championships. In 2009, only one year after you started doing triathlon, you won the silver medal at the European Championships in Holten followed by a bronze medal at the World Junior Championships in Australia and then you took part in the 2012 London Olympics. Tell us about this spectacular journey and how it all began? Ms. Rachel Klamer: I grew up in a village where the swim squad is known as one of the best swim squads in the country. There weren’t too many options to do other sports on a close distance, as I wasn’t a big fan of ball sports. I was never a star in swimming, but raced at provincial level and relays at the national champions for juniors. When I got older, both my parents where into running so they made me interested in this sport too. When they started doing some running races, I ended up watching them, but I rather participated in the kids races. After swimming for many years, I was looking for a new challenge. At the end of 2007, after winning some local races, I decided to take running a bit seriously: I joined a running squad! Soon I got noticed by another triathlete who told me about a talent day organized by the national triathlon federation at the end of 2008. Back then I’d have never guessed that less than one year later I would be racing at a (inter)national triathlon level!